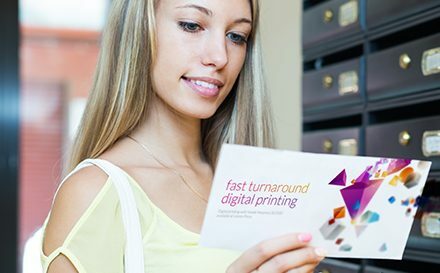 Devising a well-planned direct mail campaign can put your business in front of your ideal customers, in today’s digital world, direct marketing is often mistakenly thought of as an ineffective marketing strategy, but if executed well it can be one of the most effective forms of marketing available to your business. Printed media has some undeniable benefits over its digital counterparts, such as tangibility, credibility and branding. Let’s take a look at some the direct mail marketing trends for 2016. As the post lands on your doormat it is generally the largest piece of mail that commands your immediate attention. 2016 will see an increase in the use of oversized direct mail, although more expensive than smaller mail, there is the potential for a higher return on investment and it can lead to an increase in word of mouth marketing, brand awareness and brand loyalty. This technique works well when marketing consumables such as food as it can create desire with large rich media images. We predict that 2016 will see an increase in the use of soft touch varnish coating on direct marketing materials, this makes the paper feel soft to the touch and makes you want to touch it and increases the tactile appeal. This technique works particularly well on brochures and catalogues as it gives the feel of luxury. As business learn more and more about their customers they can target their direct mail more effectively to achieve better results. Applying targeted marketing to your direct mail marketing campaign is a great use of your marketing budget, it will mean sending fewer mailings to a small group of people who are more likely to be interested in your product or service. Adding personalisation to your mail will make the recipients feel more valued and will make the mail feel less like junk mail, which in turn could lead to a higher return on investment. Taking a more targeted approach rather than a scattergun approach could lead to a higher conversion rate. Running multiple campaigns to each sector of your customer database ensures that you are reaching your entire customer database with direct mail that is more likely to be of interest to them.